Joking aside, I like to mix my high end pieces with high street brands to complete my look. I am more of a classic and timeless elegant kinda girl. So when I shop for the wardrobe, I almost always gravitate for styles that I can wear time after time, season after season. In particular if I am dropping a few hundred pounds on a top, I want to dam right make sure that I can wear them as many time as I can… you know cost per wear?! haha…. In all seriousness, the first thing I do when I find an item I like is mentally style it with what I already have in my wardrobe. My favourite part of this top though are the sleeves. Just look at the details! 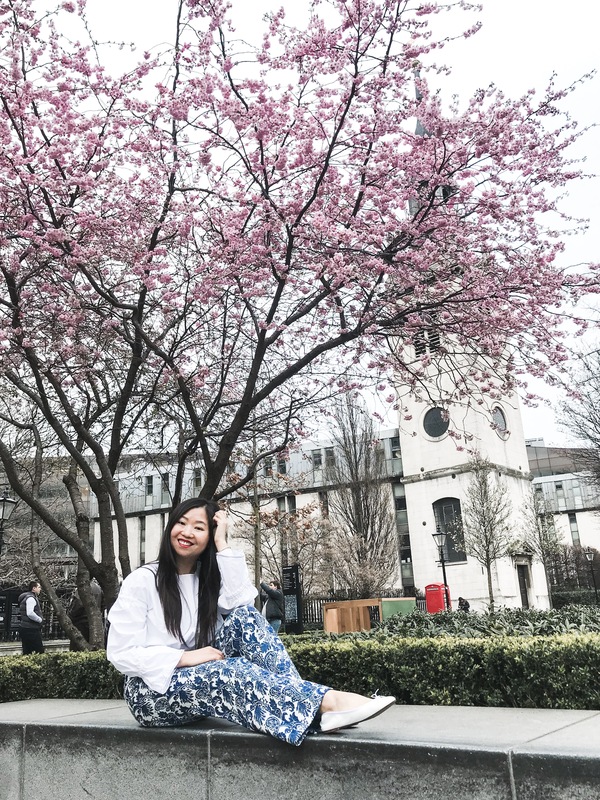 On this occasion, I paired it with a pair of high street flats as I needed to be comfortable when cherry blossom hunting around London. I bought this from an Italian boutique when travelling in Naples for €25! It is super comfortable so I can’t complain! I can definitely dress this up with a pair of black Louboutins and Dolce & Gabbana clutch for an evening look or special occasions. Speaking of cherry blossoms, I woke up one morning and my Instagram feeds were taken over by cherry blossoms and magnolias!! 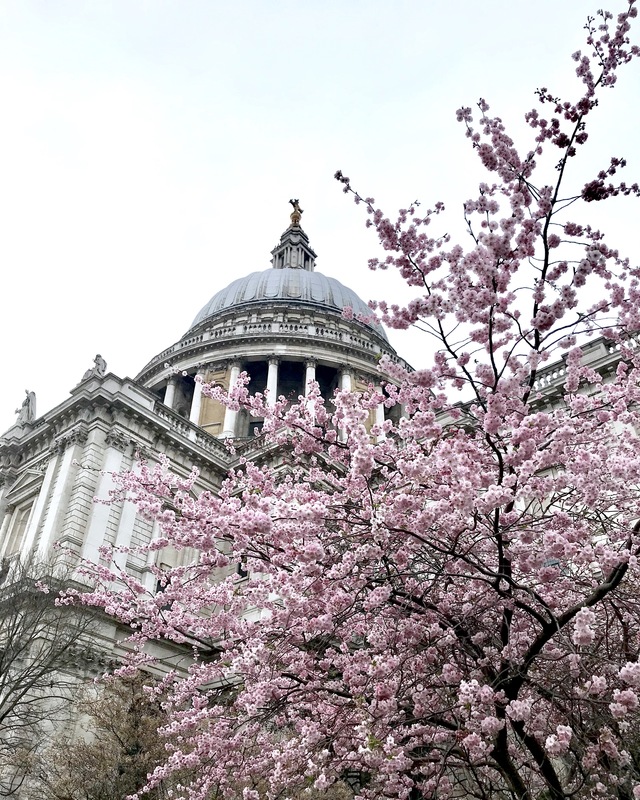 London (and the whole of Europe) is blooming guys and it makes me so happy. Weather has been amazing lately too. I am so excited for summer. 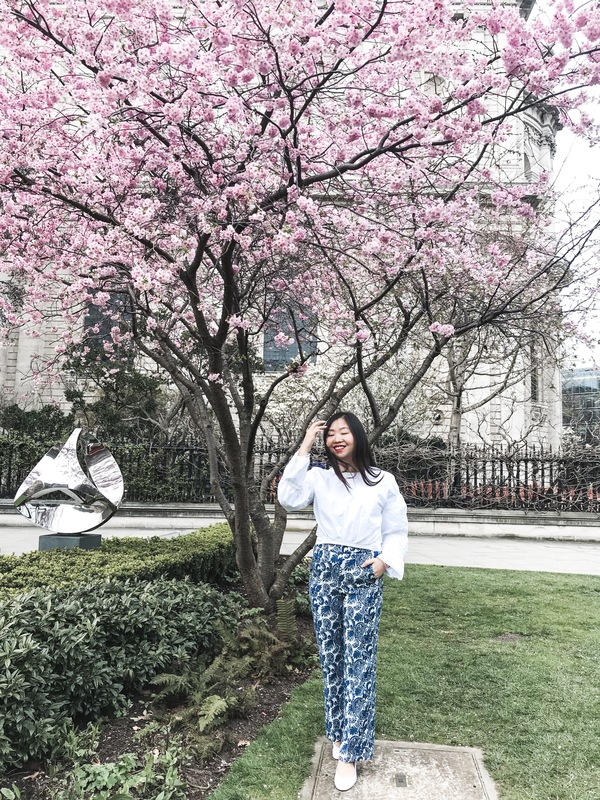 After a long, grey and snowy (although pretty) winter, London has finally changed her boring grey outfits for colourful floral prints. Sleeping trees are stretching out with luscious green arms. And Mr Sunshine has been gracing us with his presence longer each day. We just need the temperature to rise a bit more… But hello summer and goodbye winter! 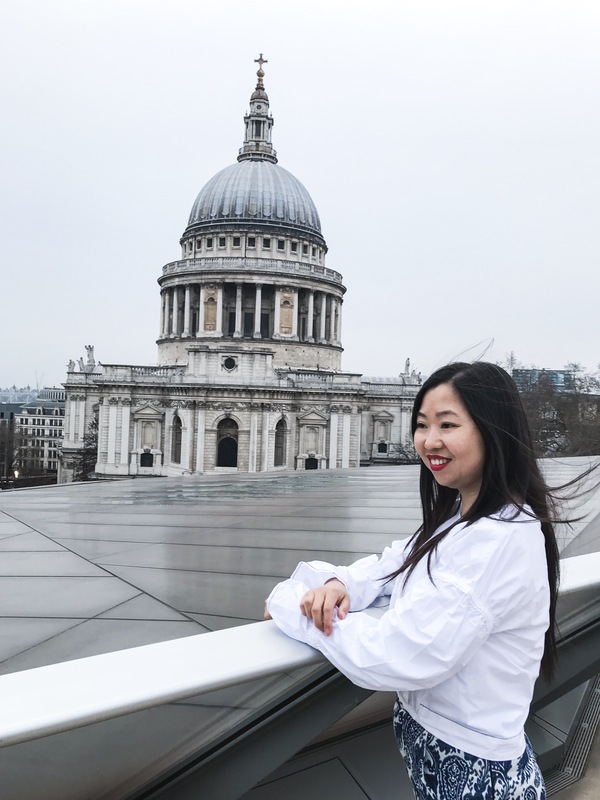 You can’t go to see St Pauls without stopping by One New Change building for this amazing view! Go up to the roof top terrace bar for a cocktail or two and enjoy it under this panoramic view of cathedral! 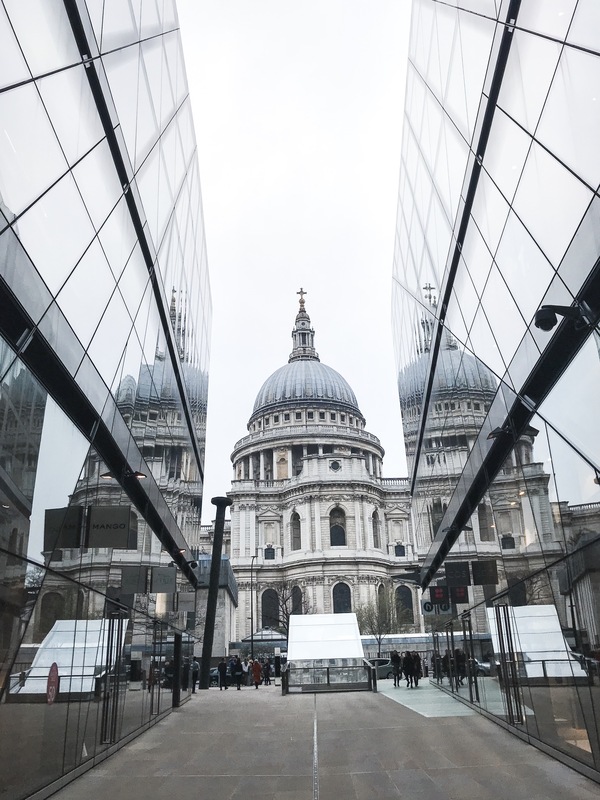 One of the most instagrammable spots of St Pauls Cathedral. Tip: Go during the week for less crowd. 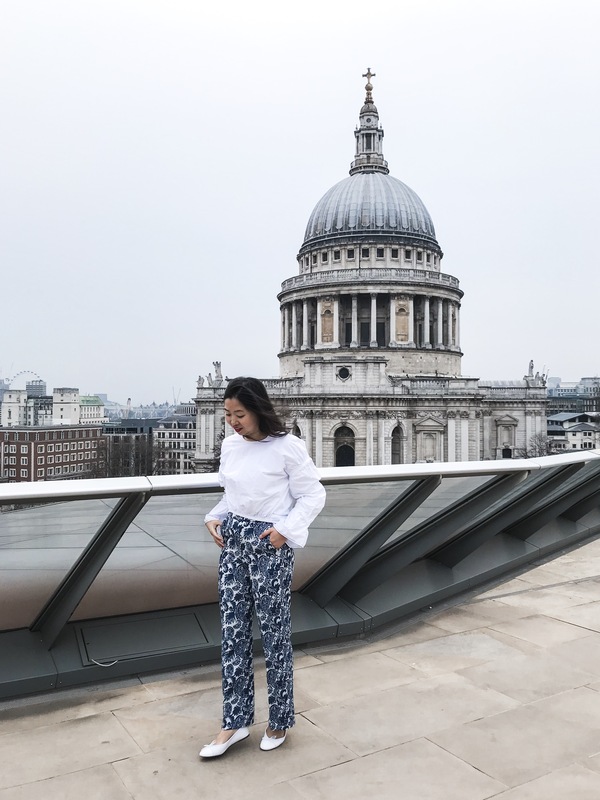 What do you think of my high end meets high street look? Do you also like to mix high end fashion with high street finds? Good post babesy. Well written and totally get ur point. Awww..you’re in my city! I love your pictures. I always mix high-end with high-street. I think to dress head to toe in high-end looks much too contrived, to begin with. I loved this post! And I totally agree! And I’m w sucker for cherry blossom too!